Unlike southern Spain, northern Morocco has been little investigated for palaeoecological purposes. Consequently, the origin and history of the Rifan vegetation is largely unknown, as well as the past role of human activities. A review of the Plio-Pleistocene fossil data available from North Africa clearly reveals the ancient origin of much of the present-day flora and vegetation structures of the region. A well-dated pollen record covering the last 5,000 years, obtained from a fen, is compared to previous regional pollen data in order to understand the late-Holocene vegetation dynamics and the influence of anthropogenic disturbances. Modern pollen spectra have allowed the calibration of pollen diversity and evenness as indicators of tree-cover density. 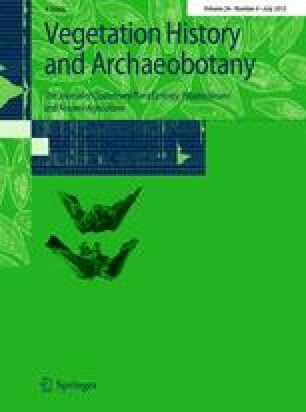 The results obtained show the long-term persistence of regional forests until the onset of Arab Sharifian dynasties in the 16th century, with a surprising lack of human impact during the late Neolithic, and little impact during Roman colonisation. The increasing density of deciduous forests recorded from 3,800 to 1,900 cal bp, concomitant with the expansion of cedar in the Middle Atlas, could reveal the onset of widespread cooler and moister climatic conditions. The weak and late human impact in the Rifan mountains explains, at least in part, their high diversity and the conservation of their forest ecosystems. Anthropogenic activities however have led to severe modification of the understorey structure of these forests during the four last centuries, and to the worrying on-going deforestation that presently threatens the survival of this invaluable biological heritage. Communicated by J.-L. de Beaulieu. The online version of this article (doi: 10.1007/s00334-014-0504-9) contains supplementary material, which is available to authorized users. We thank Lucie Chabal for charcoal identification, Laurent Callegarin and Patrice Cressier for helpful comments on an earlier version of the manuscript, Mandak Bohumil for information about recently found tetraploid alder populations in southern Spain, and Alex Chepstow-Lusty for editing. We also address our grateful thanks to the two anonymous reviewers and the copy editor, whose comments were greatly appreciated. The present work is part of the project Medyna (FP7-PEOPLE-2013-IRSES). This publication is the contribution ISE-M no 2014-157.